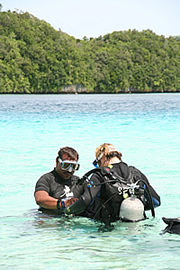 Splash is a PADI 5 STAR Dive Center located in Palau Pacific Resort. We offer daily diving activities, Discover Scuba Diving and PADI Courses up to Dive Master level. For inquiries about PADI Course, please ask Splash Staff.